NEW DELHI: The Centre has decided to expand the availability of Bedaquiline, a drug used for treatment of drug-resistant tuberculosis, across the country, the Rajya Sabha was informed. 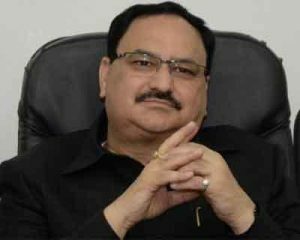 Union Health Minister J P Nadda, in a written reply, also said that the states are being prepared to monitor the treatment of patients with Bedaquiline containing regimen. He said that under the revised National TB Control Programme (RNTCP) in India, the drug is currently available in five cities – Ahmedabad, Delhi, Chennai, Mumbai and Guwahati. As the drug has not undergone the phase-III trials, and has been documented to have serious adverse drug reactions, the programme initiated its use in a limited number of centres. “Based on the limited use of the drug in these five states and cities, it has been decided to expand the availability in rest of the country. Country-wide training is being carried out to build capacity of other states, and the states are also being prepared to monitor the treatment of patients with Bedaquiline containing regimen,” he said. The states are also being prepared for the extended drug sensitivity testing which is required to determine the patient’s eligibility for Bedaquiline, he said, adding that order has been placed for additional Bedaquiline requirement for other states. At present, apart from the five cities, Bedaquiline can be made available under the compassionate ground across the country. Compassionate grounds refers to the use of a drug outside of a clinical trial of an investigational medical product (that is one that has not been approved by drug controller or competent authority) and under this protocol, a medical practitioner can prescribe such medicine to the needy patients. On the other hand, another drug to treat multi-drug- resistant tuberculosis (MDRTB), Delamanid is not yet available under the government programme in India, the Minister said, adding that Delamanid is not yet licensed for supply in India and hence is not available under the government programme but can be made available on compassionate grounds. Replying to another question, Minister of State for Health Faggan Singh Kulaste said the government has made notification of tuberculosis from both the public and private sector “mandatory”. It has also come out with a set of guidelines called the ‘National Guidelines for Partnerships, 2014’ for engaging with private sector in the RNTCP. Under the RNTCP, the government is committed to end the tuberculosis by 2025 and the strategies adopted for this purpose include strengthening and improving quality of basic TB services, engaging with providers other than public, addressing TB HIV co-infection, other co-morbidities and programmatic management of drug resistant TB. To another question, he said in 2016, the total of 17,54,957 cases of Drug Sensitive TB was reported in India. He said, according to the WHO Global TB reports, the estimated proportion of MDRTB cases in India is not increasing. “The proportion of MDRTB cases is estimated to be in between 1.9 – 2.6 per cent among new TB cases and between 11- 19 per cent among retreatment cases,” he said.